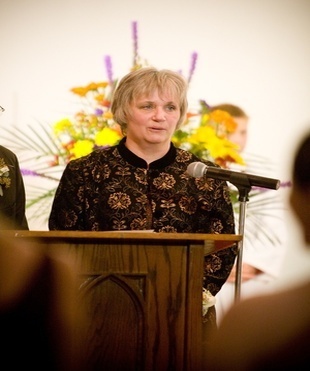 specifically to the poor, Kathy Pfaffenbach has been honored with Pro Ecclesia et Pontifice. Vatican Exposition successful. It is currently given for distinguished service to the church by lay people and clergy. It is the highest medal that can be awarded to the laity by the Papacy. name of the Pope. The reverse depicts a Greek cross. diligence, way beyond her work at Catholic Charities that is extraordinary.